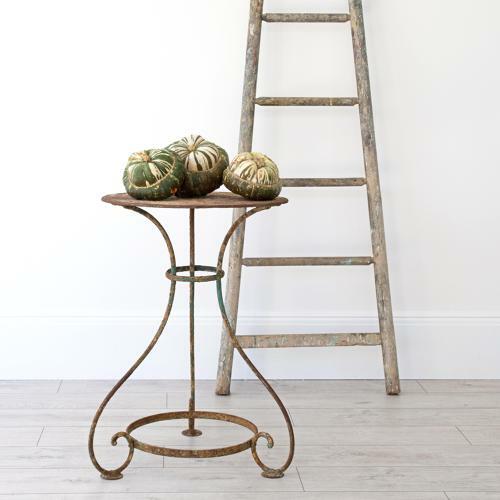 A beautiful antique metal bistro gueridon side table with elegant scrolling legs and retaining traces of its original paint. Sourced in the South of France, this decorative Arras table retains traces of its original paint, and has wonderful character and patina. Both decorative and functional, it would be perfect for a balcony or terrace location, or could be used indoors as a rustic side table in a orangery or garden room. Good condition, wear consistent with age and use. French circa 1860.